Microsoft is currently attending the Gamescom 2015 which is held in Germany and the company has a close schedule with new game announcements for Xbox, Windows 10 and Xbox exclusive, new gadgets and hardware and other stuff. However as you might know Microsoft has released a next generation and probably the last generation of Windows last week on the 29th of July, so everyone who is currently running Windows 8.1 or Windows 7 can upgrade for free to the latest version of Windows. Windows 10 will be the one to rule them all, it will be released for mobile devices and of course you will be able to use this new operating system also on your console sometime later this year. So that as a user you are getting the same experience on all devices doesn’t matter if you are using a PC, a Tablet, Phone or Console. 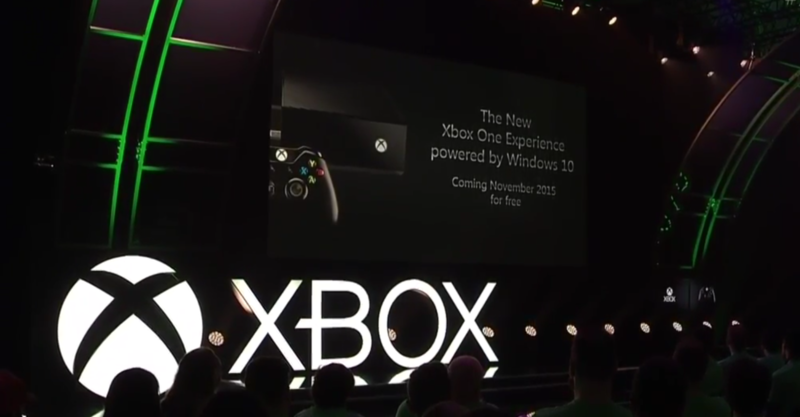 Now it was already clear that the Xbox will receive Windows 10 though there was no exact date announced yet by Microsoft when we can update our consoles to the latest firmware version. Today at the Gamescom the company has announced that Windows 10 for the Xbox will come in November and this are awesome news. Unfortunately there have not been shown any screenshots or anything so all we can currently do is to wait for Microsoft until they are going to release the latest operating system for the Xbox One console.